Two days after I arrived back from Maine was an authors showcase at the headquarters library in my area. It was something you had to apply for however the librarians asked me to join and so they kept me a spot. Nice to know people, right? I made sure my items were ready prior to leaving on my trip so that way I wouldn’t be in such a rush when I got back. 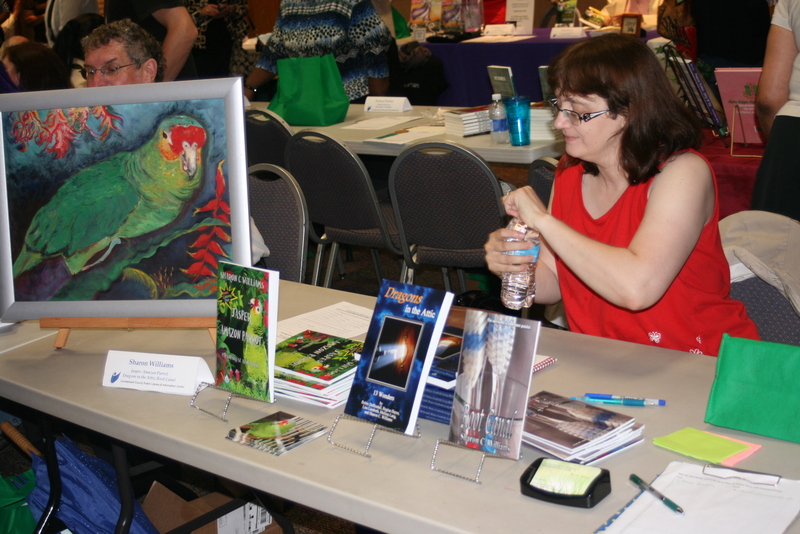 There were 37 authors that showed up with the thunderstorm that made its way for this event. Consider it was pouring heavily, the amount of people who showed up to support us was impressive. Readers rock, we really do. With my last name starting with a W, I was the last in the row. Fortunately, my table mate was a sweet retired history teacher and we talked during the event. I did sell a couple of actual books. 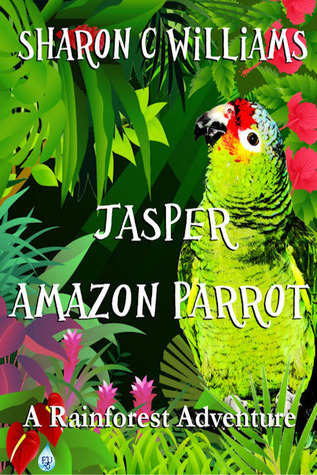 But what I really enjoyed was being able to talk about my book, Jasper and how it came about. When I told a particular lady about how half of my birds are rescued she grasped my hands firmly and said thank you and said again thank you with tears in her eyes. She gets it. There were so many bird lovers in the crowd that I got lost in the moment and forgot that I was there to showcase my works. This is a yearly event, my first one, and it went very well. I had a great time and I believe my husband did as well as he talked to most of the writers and took loads of pictures. In fact someone said to him, “You look like someone who has stories to tell.” After which the man said he would like to collaborate with him on a book. I thought that was awesome. Next year I see me doing this again, perhaps with a better understanding of what I should do. I suspect I will still be at the end, Steve will still be my table mate and we will have two hours talking about writing.